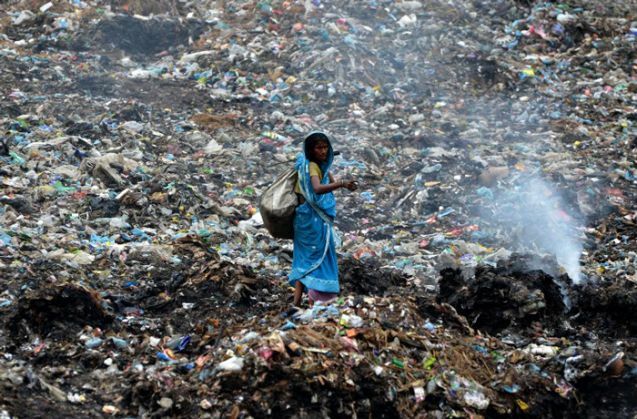 Until 1981, Manjula Vaghela was earning Rs 5 per day as a rag picker on the streets on Ahmedabad. Today, the 60-year-old is the proud head of a cleaners' cooperative with an annual turnover of Rs 1 crore. Vaghela's rags-to-riches story makes for a perfect plot for a TV soap. The struggle behind it however, is anything but entertaining. The cooperative, Shri Saundarya Safai Utkarsh Mahila Sewa Sahkari Mandali Ltd (SSSUMSSML), started out as a group of 40 women offering commercial cleaning services. The cooperative was born after these women came in contact with the Elaben Bhatt-founded Self-Employed Women's Association (Sewa). Today, the cooperative has 400 members, most of whom have been rag-pickers. The cooperative provides cleaning and housekeeping services to 45 institutions and societies in the city. Speaking to the Times of India, Vaghela said that some women from the cooperative have been hired by the National Institute of Design and the Physical Research Laboratory (PRL). The PRL, a national research institute, has hired 15 of the cooperative's women. Vaghela said it was hard to convince the authorities to register their cooperative since they were not making any product sales. .
Over the years, the cooperative has received nationwide recognition. Along with providing cleaning services for the residential societies, the group has also handled responsibilities at Vibrant Gujarat summits in the past. The workers at the cooperative are equipped with modern cleaning equipment like vacuum cleaners, micro-fibre mops, floor cleaners, carpet shampooing machines, scrubbers and extractors. The cooperative now aims to make illiterate women tech-savvy, in a bid to crack e-tenders and obtain more contracts issued by companies and institutes.